Whether you are getting ready for your first Sprint Tri 750m or just want to enjoy the Sea, your swim distance is up to you and only what you’re comfortable doing. Keep safety in mind at all times. You swim at your own risk. Click here for some very important safety advice from experienced locals. Click here for important information on tides in Myrtleville. Here are some commonly followed routes in Myrtleville. 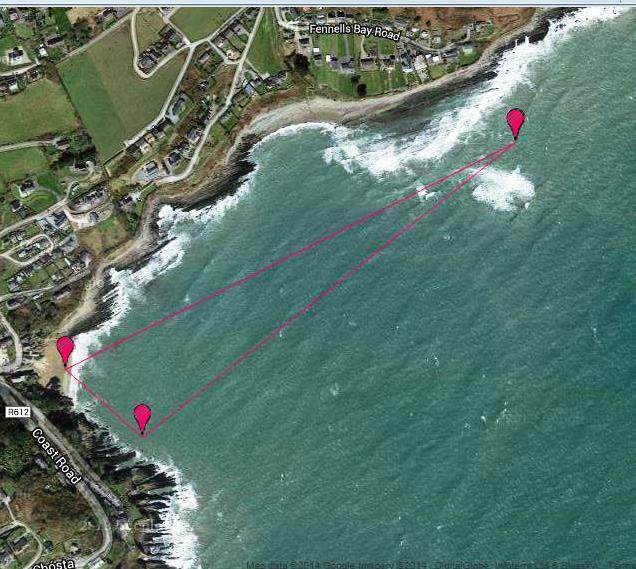 Myrtleville – Fennell’s Bay – 950m return. The next two pictures from Google Earth were taken on a day that we wouldn’t have been swimming to the Dutchman! They’re still ok for distance purposes. 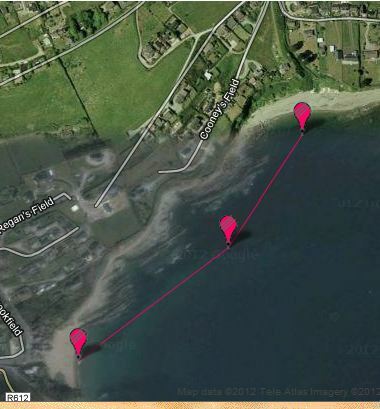 Myrtleville – Dutchman return – 1,500m. You go just past the Dutchman rocks – inside them – in line with the last house on the coast, then back to the beach. You may be turning early at lower tides. What line should you follow when swimming to the Dutchman and back? 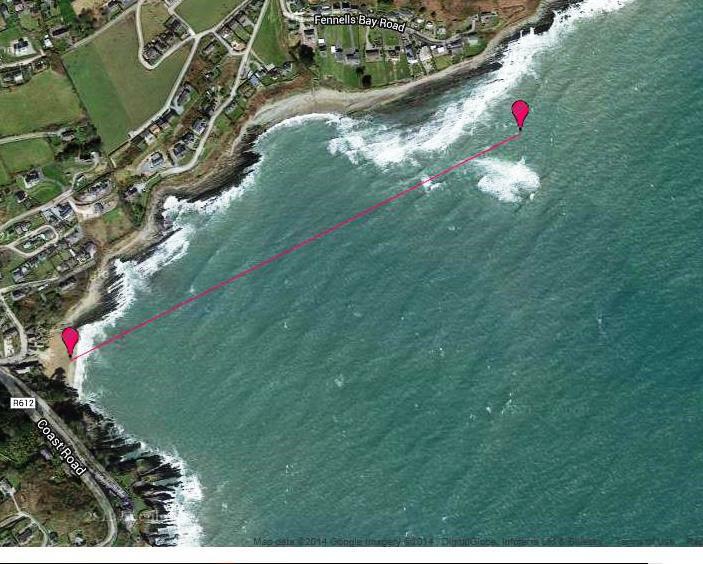 Myrtleville inside triangle – 1600m: instead of going back from the Dutchman Rocks to the beach, aim for half way between Bunny’s and the beach to add 100m to the swim. 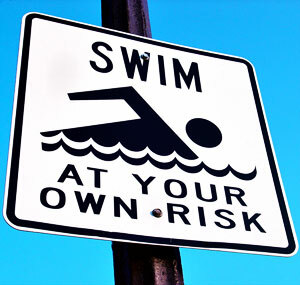 Again, stay safe, swim safe. The above routes are just some information for distances. Swim 20m, 50m or 100m from the beach and back again, if you prefer. Never take a risk in the sea. Always know the tides and the weather forecast.